This basket is a perfect solution for your storage problems on the go. 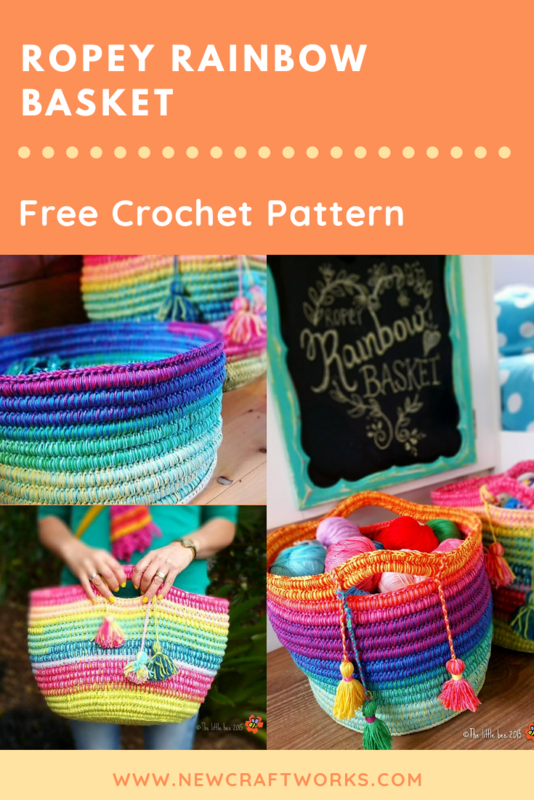 The pattern is made with half double crochet stitch with a rope for extra strength. The basket look cozy because of the rope attached with it however the pattern is so easy that anyone can follow with. 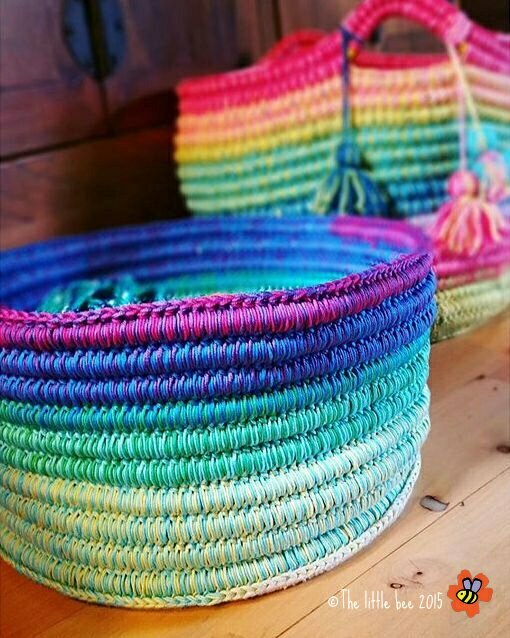 This multi colored basket pattern is shared by TheLittleBee and you can find the pattern from this LINK.